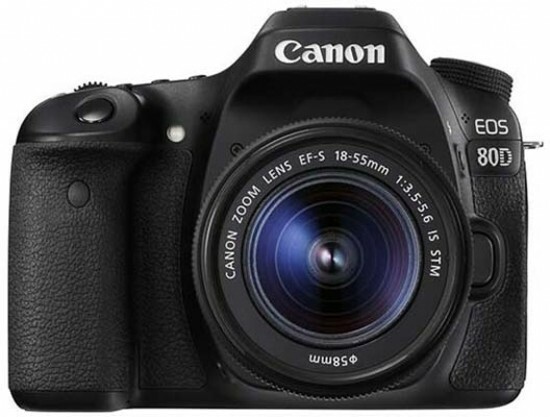 Reviews of the Canon EOS 80D from around the web. Upon completing the Canon EOS 70D review, I declared that, if I had to pick a do-everything-well APS-C format camera that does not cost a fortune, the Canon EOS 70D would have been my recommendation. The Canon EOS 80D now takes this camera's place in Canon's lineup. Like the 70D, the 80D is feature-packed, including great image quality with high resolution, a very capable AF system, a large and information-filled viewfinder, a fast/responsive shutter combined with a very nice frame rate, a great LCD and compatibility with an incredible range of lenses, flashes and other accessories. And if video is on your bucket list, this camera will give you incredible 1080p high def video quality along with unprecedented Movie Servo AF performance. The Canon EOS 80D is an enthusiast-level DSLR, and the successor to the 70D. It sports a new 24MP APS-C CMOS sensor which, like the 70D, offers Canon's Dual Pixel on-sensor phase-detection autofocus system. The 80D also gains a new 45-point hybrid AF system with all of the points being cross-type. This is a step up from the 19-point AF system in the 70D, though not quite at the same level as the 65-point coverage offered by the more professionally-oriented 7D Mark II.